We are an independent company and our aim is to help you through this regulation without causing unnecessary expenditure. Our surveyors include Members of the Institute of Fire Engineers and are all trained to standards approved by the Institute of Fire Safety Managers and NEBOSH (Fire Risk Assessment & Management). Many of our assessors have been undertaking risk assessments within one of the largest local authority Fire Brigades in the country, totalling 90 years (combined) fire fighting experience including fire safety inspections and fire risk assessments. The company carries full Public Liability and Professional Indemnity Insurance. Fire Safety / Fire Warden Training. We can train your staff in all aspects of fire safety required by legislation, at your premises. 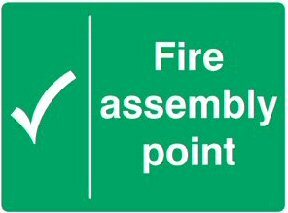 We also run workshops for “the responsible person” so that fire risk assessments can be carried out in house. Fire Safety Advice. If you have fire security problems we have the solutions! We can carry out or give advice on fire drills, instructions and evacuation procedures. Most of all, we are friendly, reliable, efficient and fun. We will not make legislation a headache for you!